Every pack we have been trying to add a new element that will give more value to the user. Post Apocalyptic World saw the introduction of interiors, Lakeside Cabin we added a hyper modular cabin. 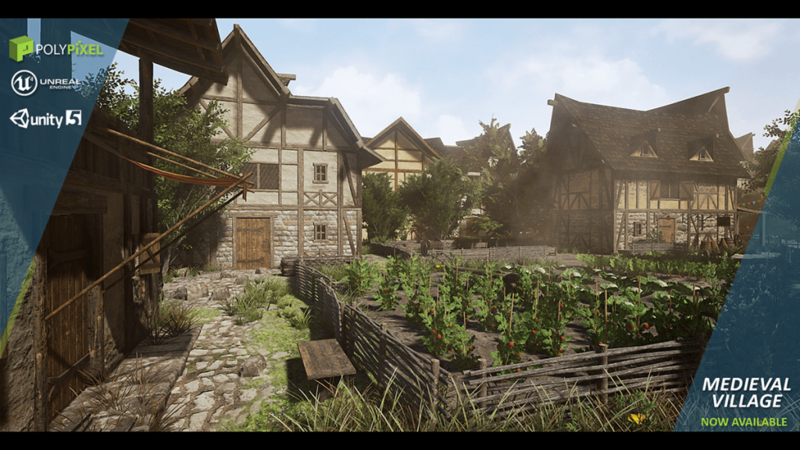 With Medieval Village, we have BOTH those elements and included a whole lot more! We’ve been listening to a lot of feedback from our previous products and customers want more customization. 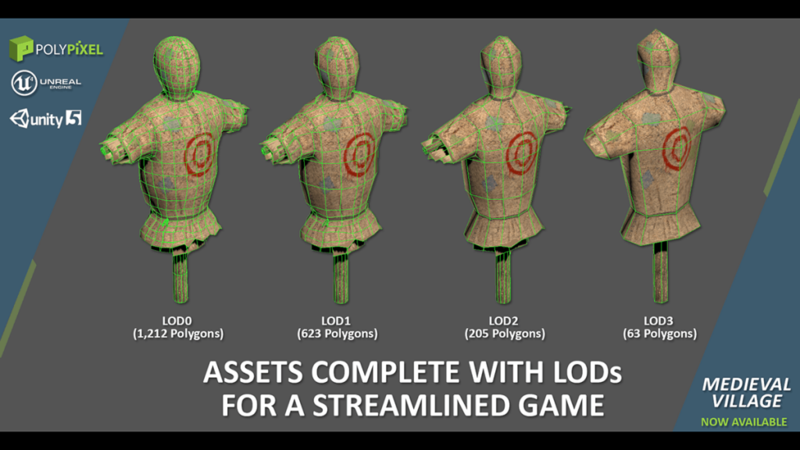 They love our quality of work but some of our assets lack the ability to create something that is truly unique in a game developer’s level. 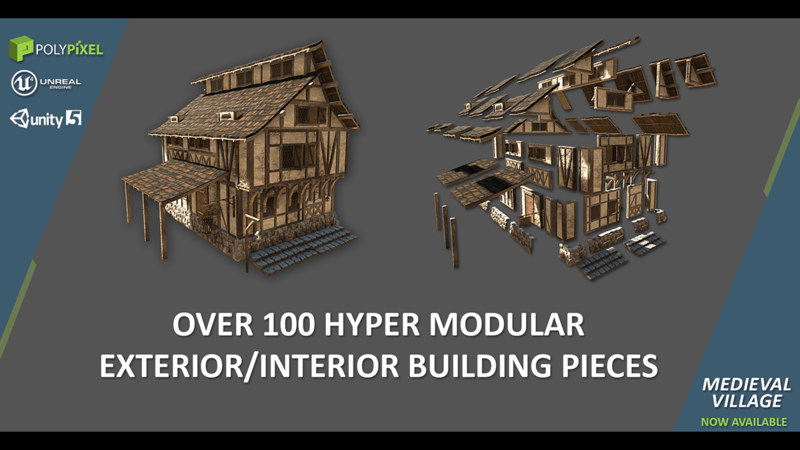 We believe the marriage of both modular & hyper modular pieces is the answer to create thousands of variations. 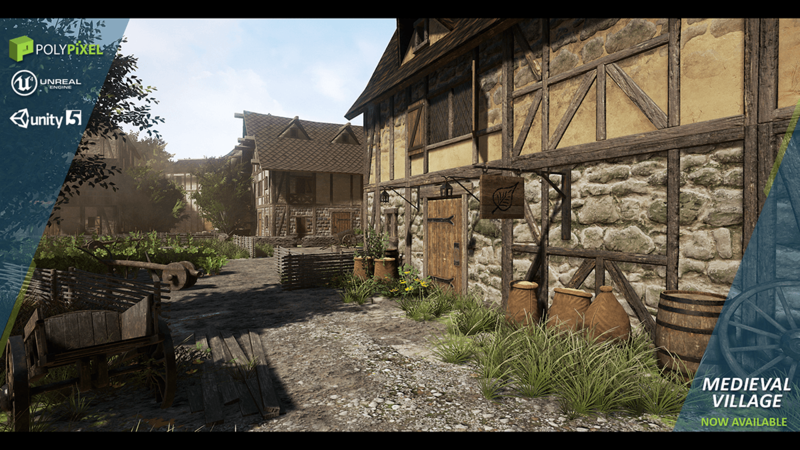 We spent an extra two weeks on this pack to build out the necessary props needed to make a medieval village level. 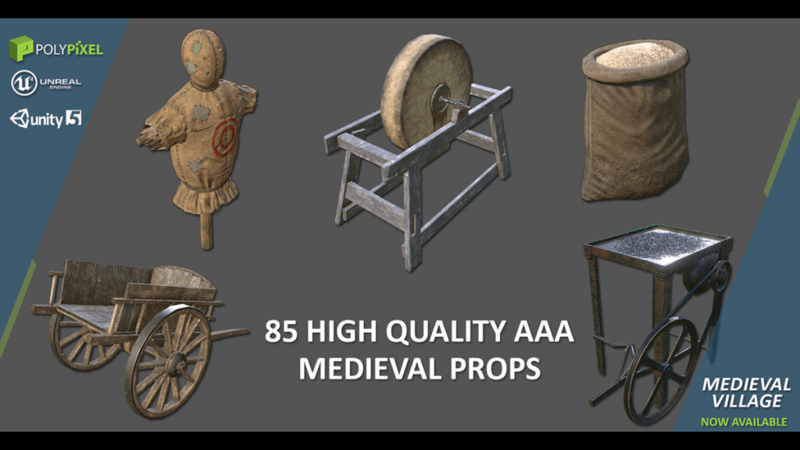 However, our prop artists still spent the same amount of time creating each individual prop keeping the AAA quality we’re known for. One fun thing our team did after creating the initial set of props is ask ourselves “what else can this prop be?” A rice grain sack could become a closed sack, a 4 person table could be turned into a smaller 2 person table, etc. 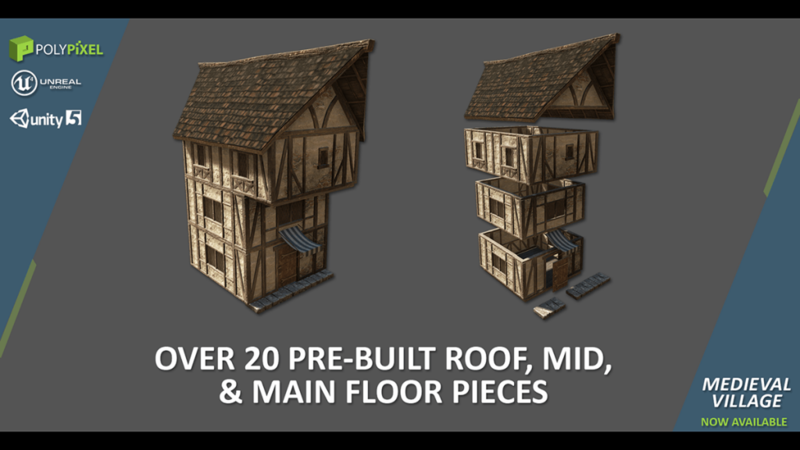 These simple variations allows the user to mix & match even more props without wasting more texture memory. This is our biggest pack we have ever created yet it runs the smoothest! 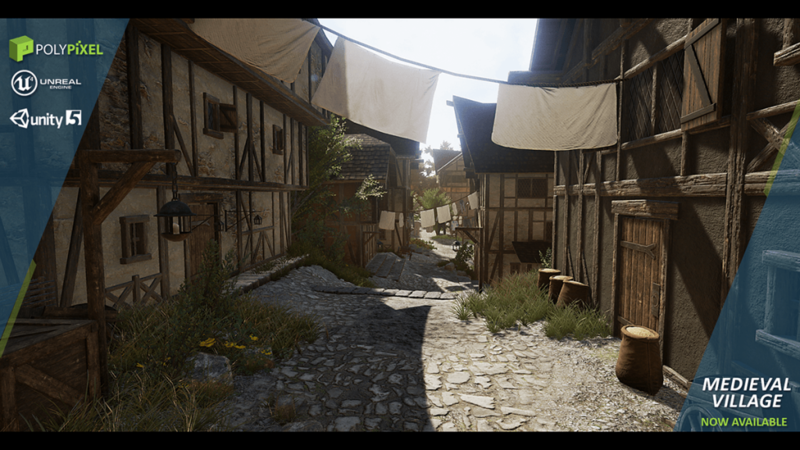 Optimizations such as LODs, occluders, compacted maps to save on memory, and clean shaders should ensure your game will run smoothly even with a large amount of assets. This is one of the only times we have released a pack with COMPLETE CONFIDENCE this is all we could have done. We went 2 weeks past our scheduled release date to make sure we gave everything we got. Hopefully others can enjoy this pack as much as we had creating it. 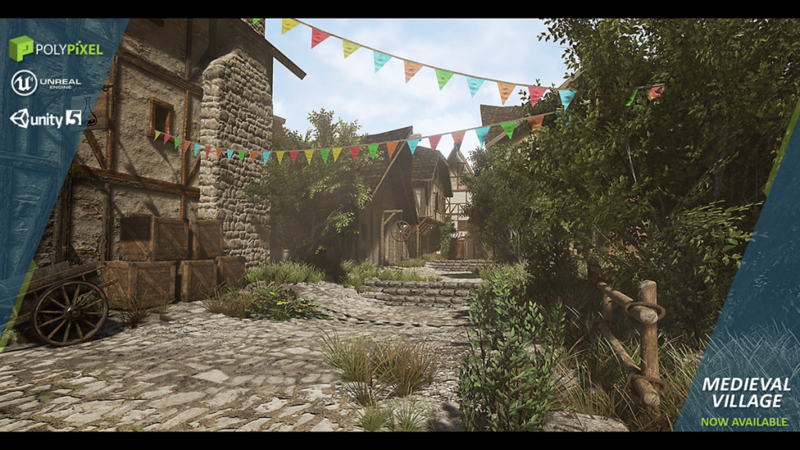 It has been submitted to Epic and should be in the Unreal Marketplace sometime this fall. 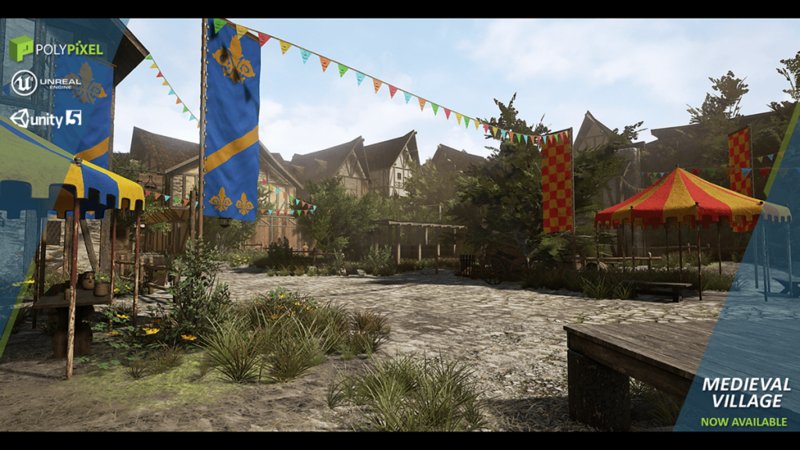 The unity version will be released in a couple of weeks, stay tuned!